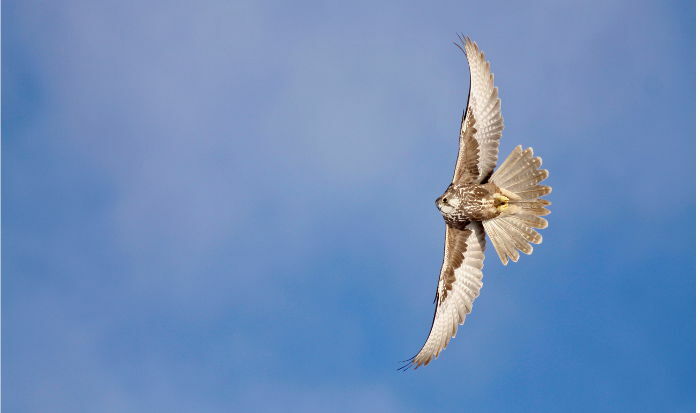 The saker falcon (Falco cherrug), which can be found in parts of Lower Austria, Vienna and northern Burgenland, is one of the least well-known raptors of Austria. This is most probably because it has been a rare sight, not just over the past decades but still up to this day. As few as 25 to 30 breeding pairs currently produce offspring in Austria. This does not sound too promising, however, the good news is: The situation is improving. To guarantee the long-term survival of these stately falcons, we need to take action. On this homepage you can find information about the biology, distribution und habitat of these agile flyers, as well as about the threats they face and conservation measures that are taken.